Gujarat, a land of romance, charisma, vibrant colors and mysticism, never fails to charm its visitors. Gujarat, the multicultural state, is located on the western coast of India. Until last years, Gujarat hardly featured on the tourist map. But it is now a different story. It has now emerged as the most sort after tourist destination. Gujarat is also incredibly diverse. It is renowned for its beaches, wildlife sanctuaries, hill resorts, places of historical significance, holy temples and, of course, innumerable tourist attractions. So are you going for a tour in Gujarat? Then for your convenience, we have compiled a list of 10 best places to visit in Gujarat. Read on! ‘Steeped in history’- it seems that the phrase was coined to refer Bhuj only. Bhuj is a place for cultural immersion. 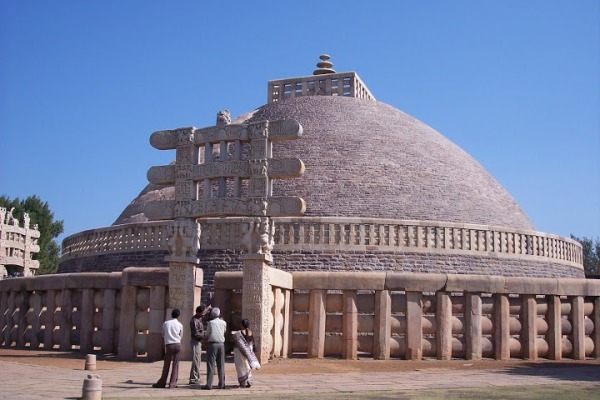 The area is connected to a broad range of civilization, beginning from the prehistoric times to the modern India. Bhuj offers an eclectic combination of historic buildings and bazaars. The buildings of Bhuj date back to the 17th century. If you are like Indian handicrafts, you must visit Bhuj, the capital of the Kutch region. You can take a trip to weaver villages like Bhujodi and Ajrakhpur to meet the artisans, see the demonstrations and buy the handicrafts. The Aina Mahal is a major draw in Bhuj, along with Parag Mahal, the Kutch Museum, and the Hamirsar Lake. The Great Rann of Kutch is the largest salt desert in the world. 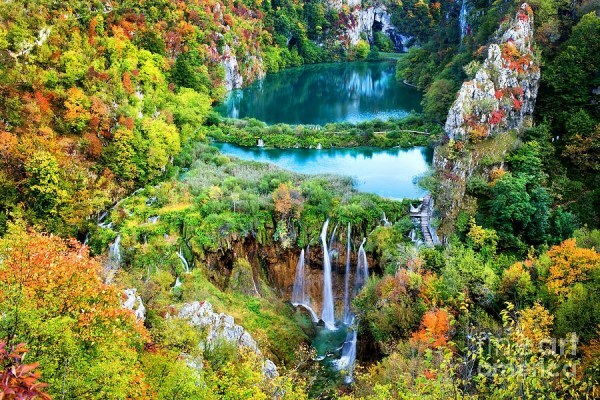 This colorful and culturally rich land will give you a handcrafted feel. It measures over 16,000 square kilometers. What makes Rann of Kutch stand out is its underwater view during the monsoon season. It looks surreal! 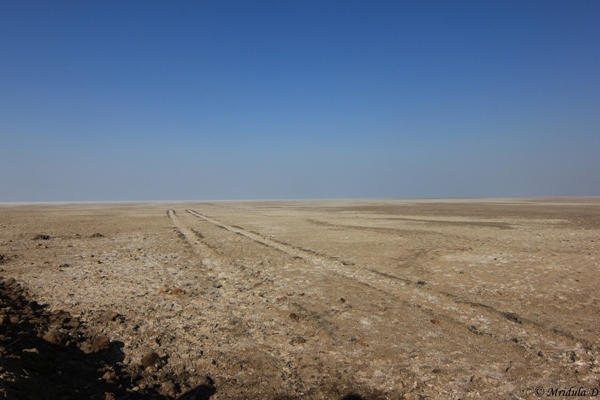 For the remaining months, Kutch is a vast stretch of packed white salt. Each community in Kutch has its tradition, craft, dance and dresses. When in Kutch, do not forget to take a moonlight camel safari. It is truly magical. The Rann Mahotsav is the best time to visit Kutch. The cultural programs are held at Dhordo. The tourist season runs until March, so plan your trip accordingly. The Gir National Park is one of the top five National Parks in India. Gir is the largest deciduous forest in western India. 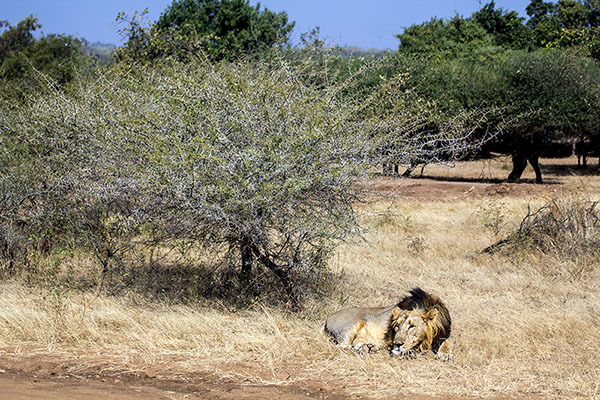 It is the only place where you will find Asiatic Lion. The lions were once on the verge of extinction, but the numbers have been increasing, all thanks to their conservation efforts. There is a lot more to this protected area beside Gir National Park. The park is home to several wild animals like leopard, hyenas, antelopes, marsh crocodiles and 300 different types of birds. The perfect time to visit the Gir National Park is from December to April. The safaris run daily here. Situated at the heart of Gujarat, Ahmedabad is the fifth largest city in India and the largest city in Gujarat. It is a bustling metropolitan with a rapidly growing economy and reputed institutes. The city is renowned for its exquisite architecture, deep-rooted culture and exuberant people. The city was founded by King Karnadev and was named Karnawati until Sultan Ahmed Shah invaded it and renamed it to Ahmedabad. 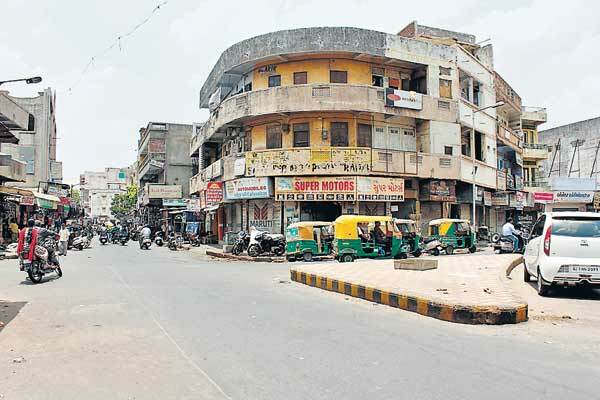 Ahmedabad is best known for its association with Mahatma Gandhi. The main tourist attractions in Ahmedabad include the Sabarmati Ashram, the Bhadra Fort, Teen Darwaza, Jhoolta Minara and the Sarkhej Roza. If you are willing to go on an excursion, then you can head to Nal Sarovar, a wetland that attracts thousands of birds every year. Culturally drawn people must visit Ahmedabad during Makar Sankranti and Navratri. The festivals in Ahmedabad are celebrated with great zeal and gusto. 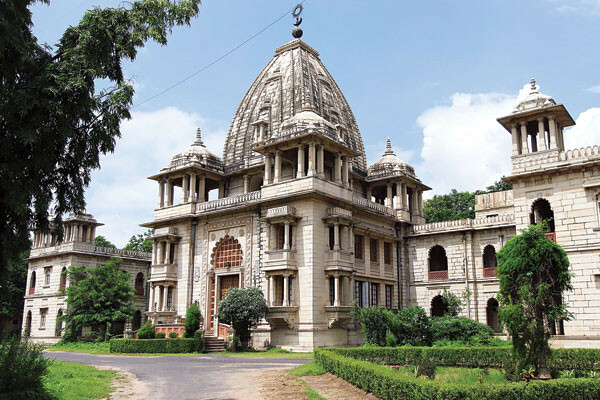 Vadodara is dubbed as the cultural capital of Gujarat and the number one industrial city in Gujarat. 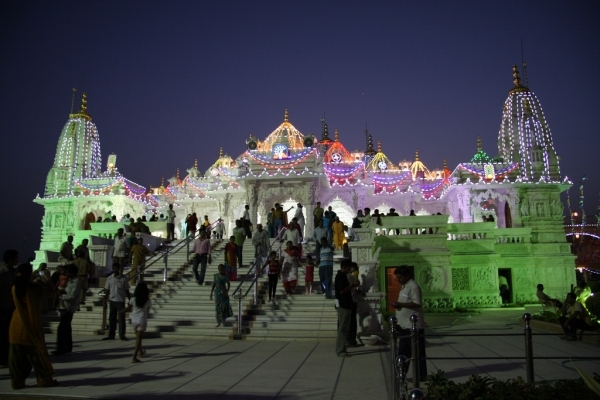 It is one of the most popular cities to visit in Gujarat. The city was established by the generals of Marathas after being expelled by the waning Mughals. In Vadodara, you will find a fusion of the past and present. Here you will find a Pavagadh Hill graced with Hindu and Jain’s shrines and Islamic fort towering over Champaner. Together, they represent the religious tolerance pervading Gujarat. The major attractions of Vadodara include the Kadia Dungar Caves, Makarpura Palace, Sursagar Talav, Nazarbaugh Palace, and the Sayaji Baug. Junagadh, meaning ‘Old Fort’, is a fortified city steeped in history. It is the ‘Soul of Saurashtra’. Junagadh is the center of religious place in Gujarat. You will find mosques, Hindu and Buddhist temples and several other historic structures. The place was ruled by Babi Nawab until the independence. Junagadh is often overlooked by tourists in the Gir National Park, but they forget that the city has some marvelous historical monuments. Mahabat ka Maqbara is an exquisite architecture found here. There is also equally magnificent Ashokan Rock Edict here. 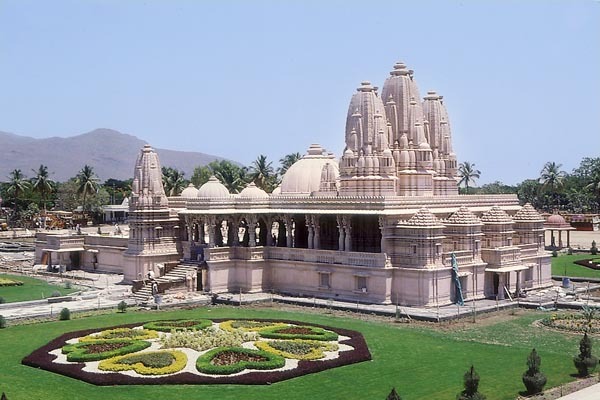 The Jain temple on top of the Girnar Mountain can be reached by taking the stairs. 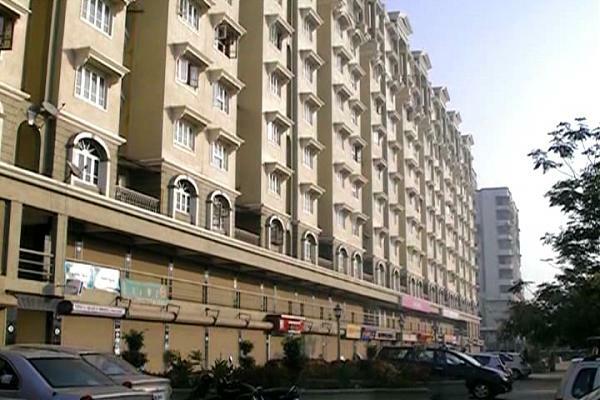 Surat is a city situated on the south bank of River Tapi. This industrial city has attracted traders and merchants from wide and far. The place has finely carved mosques, European tombs, Parsi agiaries and colonial houses that testify the mix of ethnic communities that live in the city. 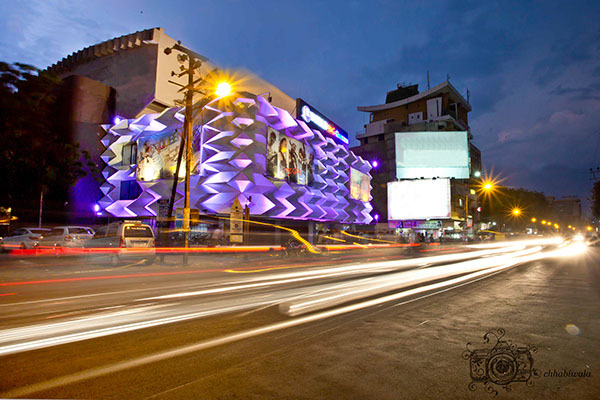 Surat thrives as a textile center. It is renowned for its polyester fabrics and has many small-scale industries here. The famous places to visit in Surat include the Diamond Industry, Sardar V Patel Museum, Chintamani Jain Temple and the Planetarium. The Rajputana founded Rajkot, the former capital of Saurashtra in the 16th century. The city is located on the Ajj River. The city of Rajkot is the hub for the building of vehicles. The city also boasts of its association with Mahatma Gandhi, who spent the early years of his life in Rajkot. The house where he lived is now turned into a museum. Rajkot is also known for its silverware, Patola and Bandhani sarees and beadwork. The towns of Morbi and Wankaner are must visit places here. The towns have beautiful royal estates that are now converted into heritage hotels. The Saputara hill station is located in the heart of the Dangs district. It has now evolved into a well-planned hill resort with hotels, swimming pools, parks, boat club, theaters and museum. It is the second highest plateau of the Sahyadri range. The forest around Saputara is dotted with tribal villages. 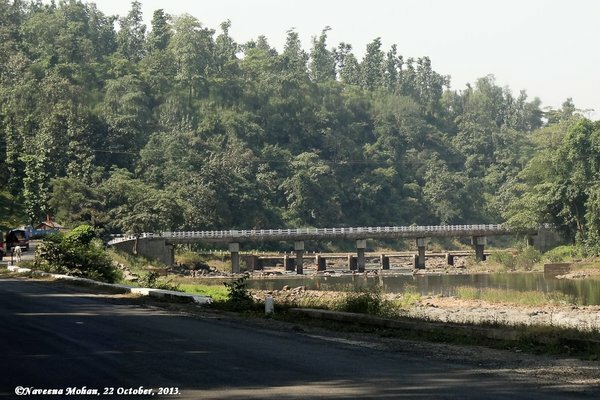 The place has many things to offer to its visitors like the Saputara Lake, the Sunrise Point and the Nageshwar Mahadev Temple. You must also visit the Rose Garden and Step Garden here. The Saputara Hill Station is the best place to spend some quality time with family, friends or loved one. 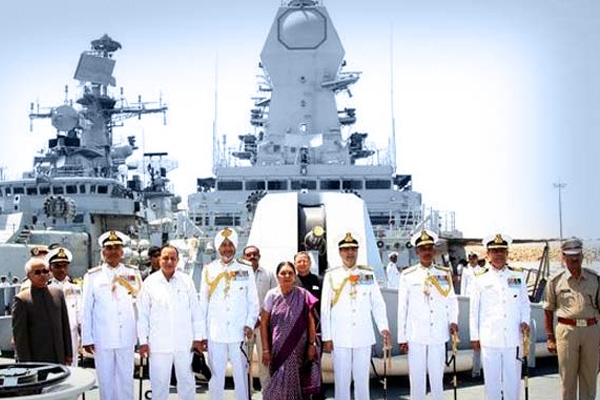 Porbandar is reputed as the birthplace of Mahatma Gandhi. It is the coastal city of Gujarat. Kirti Mandir, the home of Gandhi ji, is a major attraction of this place. A history of the life of Mahatma Gandhi is listed in the museum. The place also holds religious significance. According to the Hindu mythology, Porbandar is associated with the friendship of Lord Krishna and Sudama. The other popular attractions include the Porbandar Bird Sanctuary, Sudama Temple, Barda Hills Wildlife Sanctuary and the Huzoor Palace. October to February is the best time to visit Gujarat. People from all across the globe visit Gujarat with their families to explore its diversity and rich heritage. Tell us which attraction or place you like the most by commenting below.